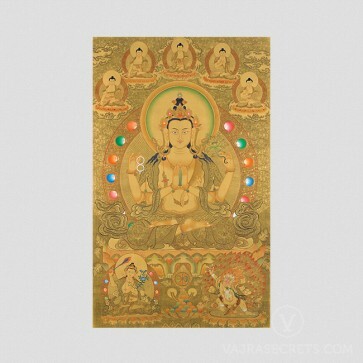 A canvas printed thangka of Chenrezig, the Buddha of Compassion. 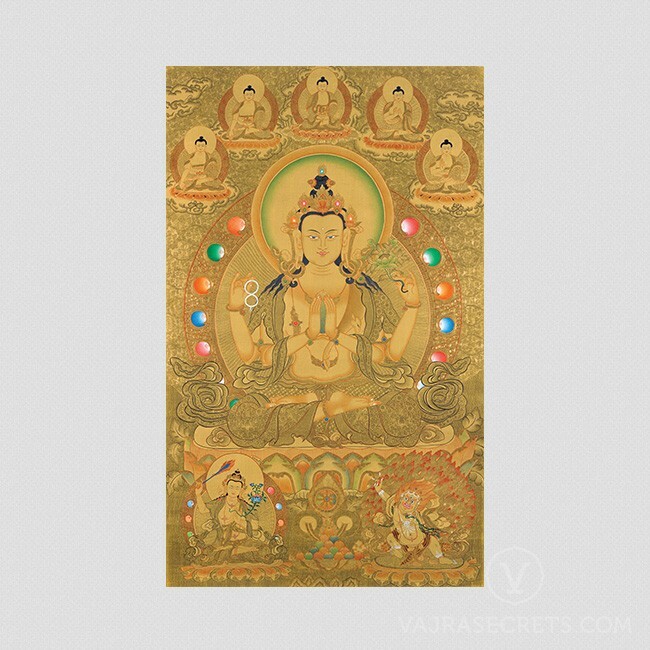 Richly golden in colour, this thangka also depicts the 5 Dhyani Buddhas, Manjushri and Vajrapani. Above him are the 5 Dhyani Buddhas – Ratnasambhava, Akshobhya, Amitabha, Vairochana and Amogasiddhi. On his right is Manjushri, Buddha of Wisdom and on his left is Vajrapani, Buddha of Skilful Means. 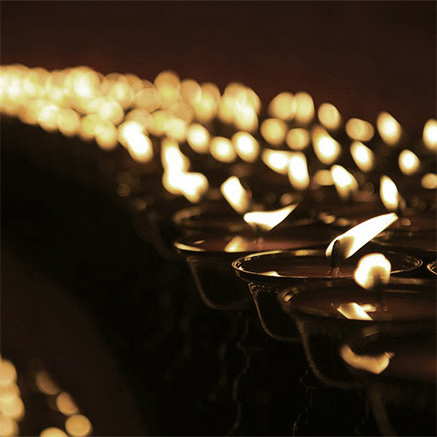 Taken together, the presence of Chenrezig, Manjushri and Vajrapani can be said to represent Lama Tsongkhapa, the great 14th century Tibetan scholar and saint who is an emanation of these three great Buddhas.